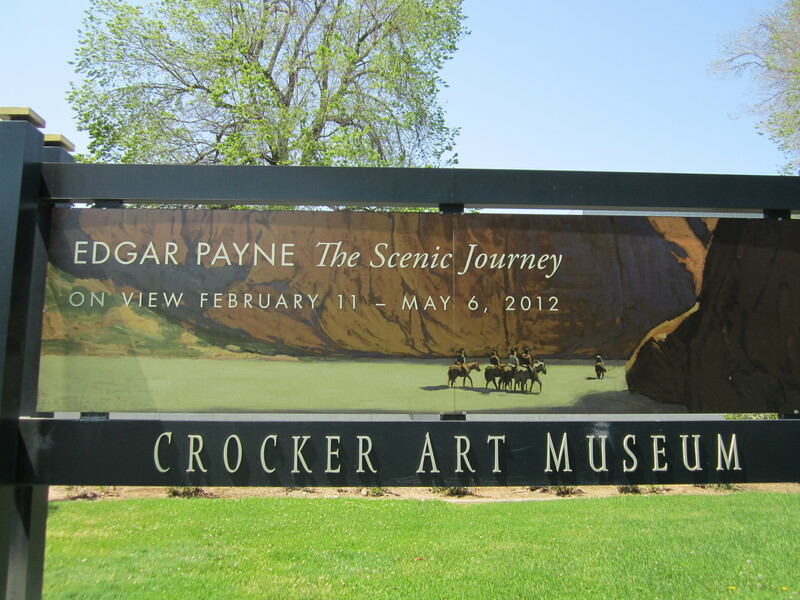 The Edgar Payne exhibit “The Scenic Journey” at the Crocker Art Museum is outstanding! 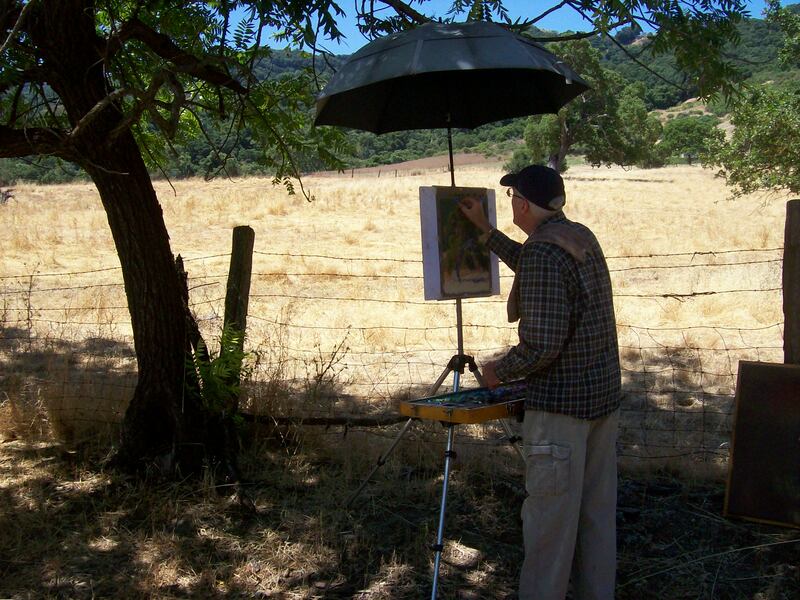 I made the drive to Sacramento today (unfortunately it is not a scenic journey) to see the work of the poet-painter of the California Sierra. I had been familiar with some of his work since relocating to California, but I wasn’t prepared to be totally impressed by Payne’s vision, balance of values, and complete mastery of composition. What did I expect from the author of “Composition of Outdoor Painting“!? It was Payne who is quoted as saying, “Mix Brains with Paint”. And he did just that. I naturally loved the dramatic light and composition of the signature piece, “Sunset, Canyon de Chelly” (1916). But, I was equally in awe of his mastery of composition in the arrangement of the sails in his work done on the coast of Brittany in Concarneau. In addition to the impressive American and European landscapes in oil by Payne, the exhibit also included photographs, sketches, ship models, furniture, film, and the Model T that he used to get to the backcountry of the Sierra. 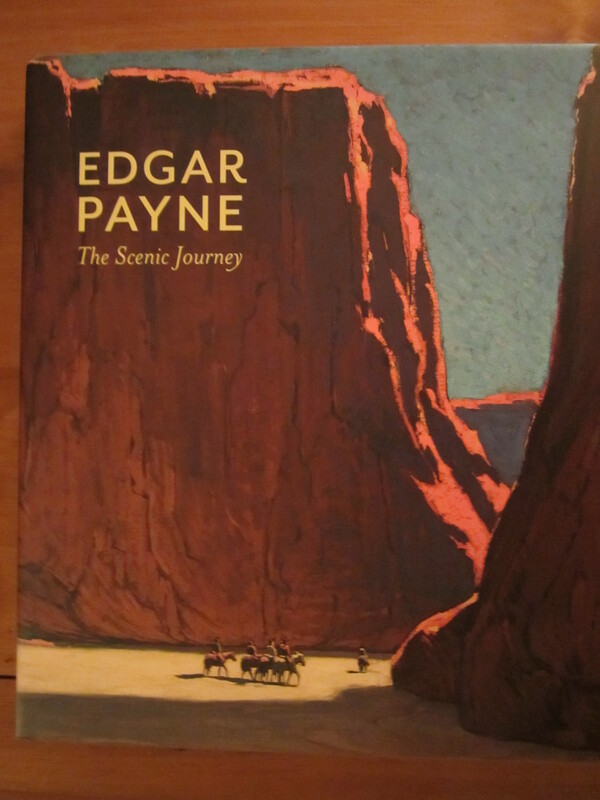 I look forward to studying the exhibition catalog, so that I can glean more from this gifted artist, Edgar Payne (1883-1947). 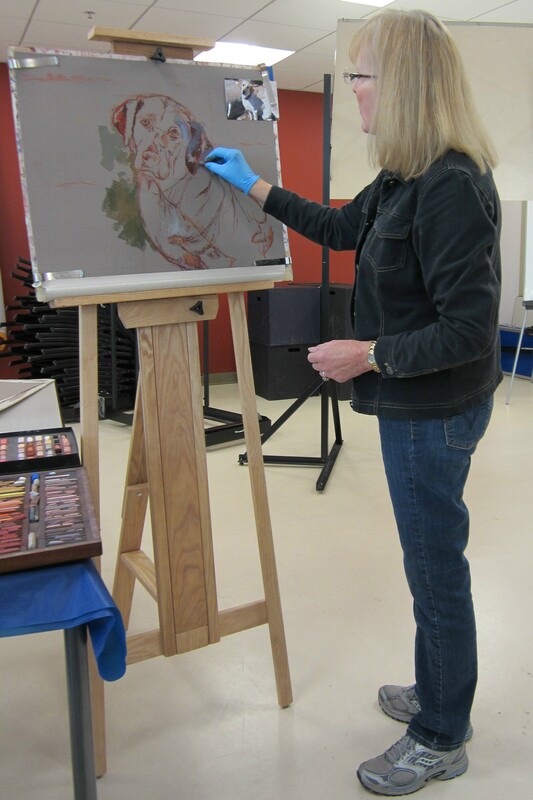 Livermore in Art and Words opening reception was tonight, Saturday April 14, 5 to 7. 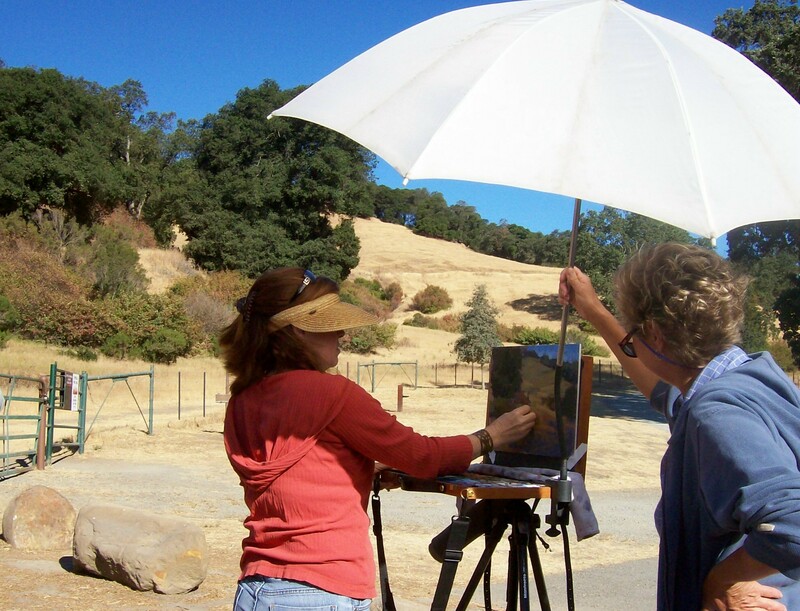 It is an exhibit of poems, prose, and photographs, and painting by various writers and artists at Prudential California Realty, 1790 First St., Livermore, CA hosted by Cher Wollard. I am one of the exhibiting artists in a show that runs through April 30, 2012 from 9 to 6 weekdays. 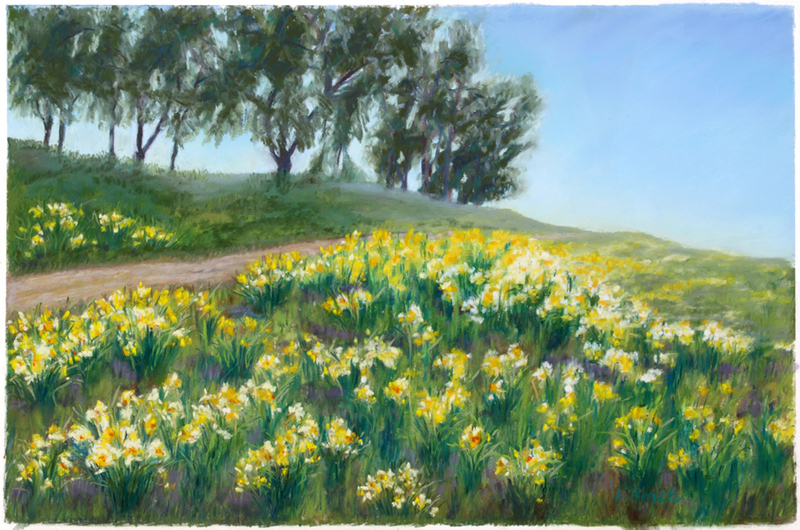 Here is a poem by Alice Kight on the same subject as my painting, Daffodil Hill . smoothing out sharp edges of time and circumstance. spring will always come again.